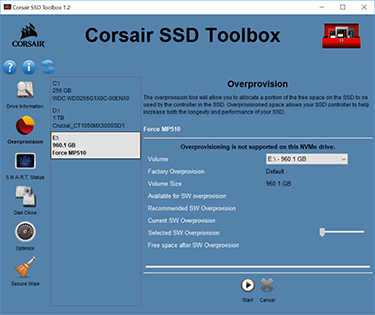 Corsair has adopted a close partnership with SSD controller manufacturer Phison in recent times. The older Neutron XTi mated with the Phison S10 while the newer Force MP500 used the Phison PS5007-E7 NVMe controller and paired it with Toshiba 15nm MLC NAND. Performance was solid, especially in sequential mode, though capacity was limited to 480GB. 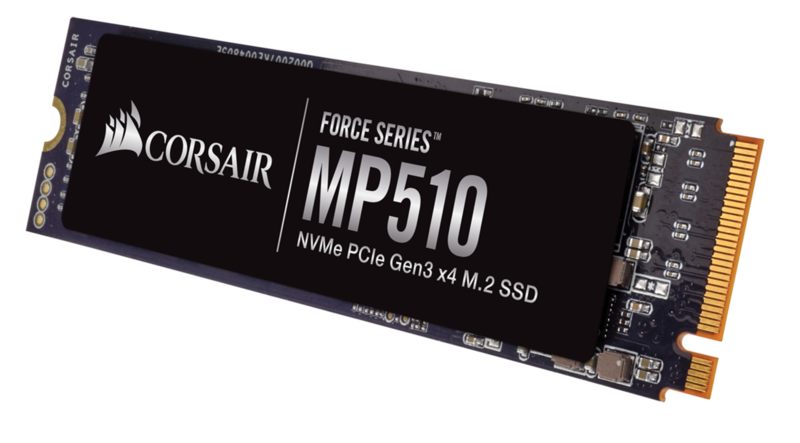 Just last month, Corsair announced the Force MP510. The incremental model number gives little away, but this new headline SSD is equipped with a newer, faster controller, speedier NAND, and an extra dollop or two of performance. Nice. The controller is replaced by the latest-generation PS5012-E12, while Phison's close partnership with Toshiba results in the adoption of the firm's latest 64-layer 3D TLC NAND. The use of this new memory is important because it enables customers such as Corsair to increase the capacity whilst also reducing the cost-per-gigabyte of its premium drives. 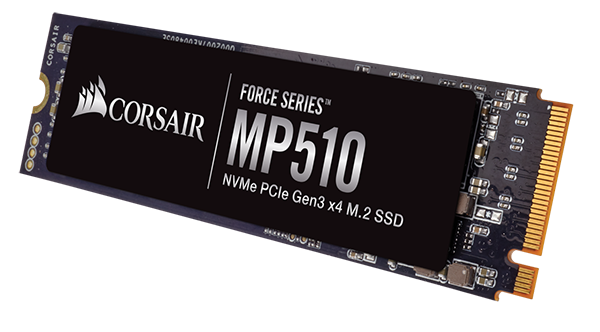 Consequently, the Force MP510 is available in common capacities between 240GB and 1,920GB. And it is also why the pricing for Corsair's best-ever SSDs is competitive. About £220 is the going rate for a 1TB ultra-fast model, and Corsair plays in the same field as, say, the WD Black NVMe, Intel SSD 760p, and is a bit cheaper than the Samsung 970 Pro. Phison's E12 controller cranks up the sequential and random IOPS speed by using an 8-channel interface to the NAND. Though the initial slew of drives will run with the aforementioned Toshiba TLC memory, the controller can also connect to cheaper QLC NAND as and when that becomes more widely available. On-paper performance is really solid, and the sweet spot is the 960GB drive. Sporting excellent sequential speeds and great random performance - hitting over 500K on each count is definitely premium territory - it's the endurance that is actually the stand-out feature. You're looking at just under an entire drive write per day, every day, for the warranty period of five years. That's pretty good, and we don't expect the well-heeled enthusiast to hit those numbers on a regular basis. Force MP510 is presented in solely an M.2 2280 form factor. Makes sense once you consider the NVMe PCIe Gen 3 x4 interface and the number of supporting motherboards on the market. Corsair uses both sides of the PCB for housing the controller, supporting 1GB DRAM and 960GB NAND on our review model. The black PCB, black sticker and silver writing make it an attractive bit of kit. One would usually wonder whether not having a proper heatsink is a cause for concern on a premium M.2 2280 SSD. 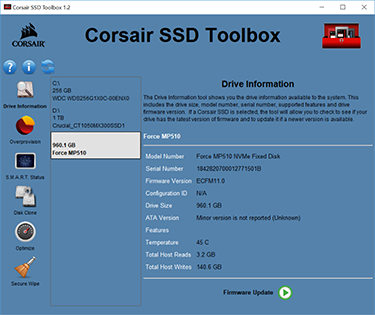 That doesn't appear to be the case, as Corsair's Toolbox utility reports an idle 28°C and maximum 62°C when writing 252GB of data on to a bare drive. That temperature ought to drop when under M.2 heatsinks popular on today's mobos. The 960GB nominal space means there's a decent amount of spare area reserved for overprovisioning, and the exact amount of area can be changed with the Toolbox utility. Speaking of software, the Toolbox is basic but straight to the point. You can secure-erase the drive in Windows, which takes 20 minutes on the 960GB model, while simple performance and usage parameters are included. Let's now hit up the benchmarks and see what's what.